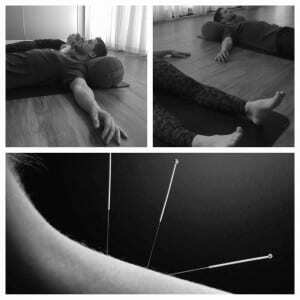 You are here: Home / Blog / Uncategorized / Summer Acupuncture Yoga Class! The last yoga and acupuncture combo class w/ Joan at Yoga Moves was a huge success (SOLD OUT!!). Everyone loved the music, the meditations, the acupuncture and the crystals. Friday August 19, 2016 from 6pm-7:30pm at Yoga Moves, Stoneham w/ Joan Trubiano. For more info on the classes, see the Stretch and Release page of this website. http://www.jayguanciacupuncture.com/wp-content/uploads/2015/12/jay-guanci-acupuncture-logo.png 0 0 admin http://www.jayguanciacupuncture.com/wp-content/uploads/2015/12/jay-guanci-acupuncture-logo.png admin2016-07-28 13:48:032016-07-28 13:48:03Summer Acupuncture Yoga Class!